Once collapsible A was lowered to the boat deck, 1st Officer Murdoch immediately started to connect the lifeboat to the davit. At this point, he would have been standing in water that was beginning to flood the boat deck. 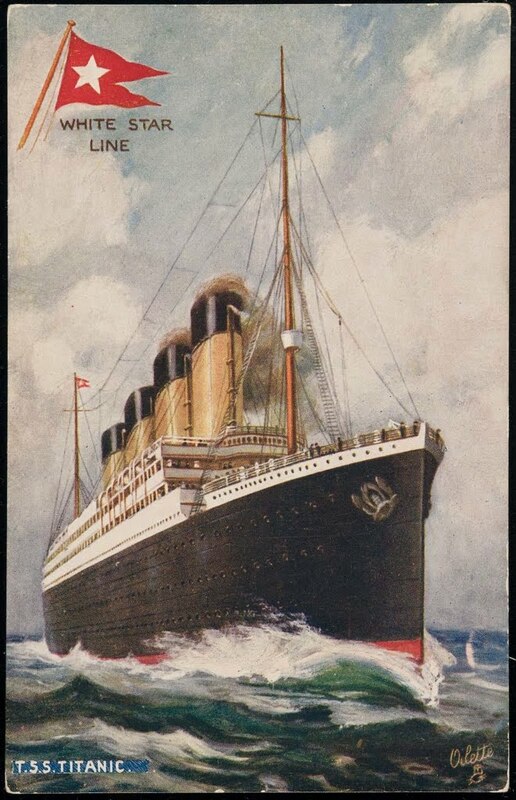 According to testimonies, Titanic was starting to sink at an alarming rate. 2nd Officer Lightoller said later in a testimony, that Titanic took "a bit of a dive" when the water reached the crow's nest on the forward mast. Some passengers and crew said that water came over the boat deck like a wave. Titanic's navigating bridge and wheelhouse were located at the forward end of the boat deck. The navigating bridge was open on both sides, so when the water came over and poured onto the boat deck, the navigating bridge was immediately flooded. Collapsibles A and B were washed off as the water made it's way up the boat deck. Collapsible A was sitting upright when it was washed off the deck. Many of the people that were aboard collapsible A, climbed aboard straight out of the water. Nobody was put in charge of this lifeboat. Collapsible B was washed off the boat deck upside down. 2nd Officer Lightoller climbed onto the upside down lifeboat and assumed command. Approximately 28 or more people climbed aboard as well. These two lifeboats were the last to leave Titanic. Passengers and crew as they climb aboard the overturned Collapsible B.